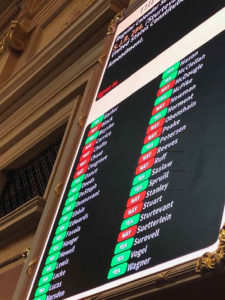 By a bipartisan vote, the Virginia Senate voted Tuesday to pass the Equal Rights Amendment Resolution by a 26-14 vote with 7 Republicans joining all 19 Senate Democrats. Now the resolution faces a more difficult road to passage in the House of Delegates, which has never cleared it. Del. Mark Cole, R-Spotsylvania, chairman of the Privileges and Elections Committee, has said he’s not sure how he’ll handle the issue. Eileen Davis, Co-founder of Women-Matter.org, said last month that even though the Senate has passed the resolution five times previously, Cole had never put it on the House agenda. 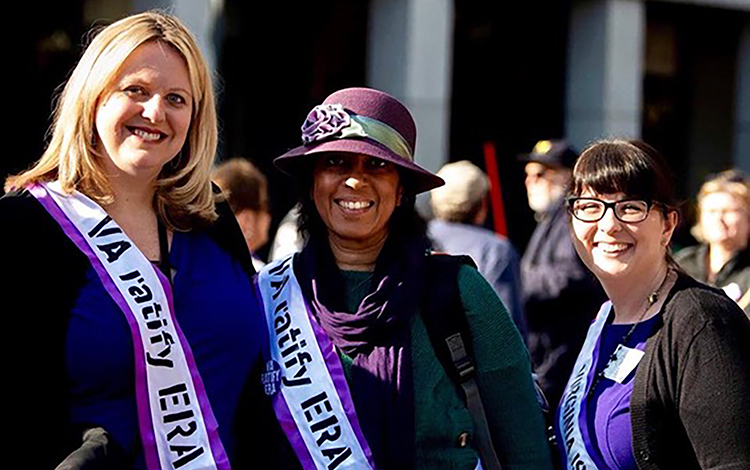 If the ERA passes in the House of Delegates, Virginia will become the 38thstate to ratify the Equal Rights Amendment. Then there is the 1982 deadline issue to deal with, according to Wendy Murphy, J.D., who spoke during an ERA discussion in December at the Woman’s National Democratic Club in Washington, D.C.
Murphy said that she has been working with a team of lawyers for months, and they are already prepared to file cases in federal courts around the country the moment Virginia ratifies. They will argue that ERA is valid, the issues are capable of being decided in court, and the deadline and rescissions by some states are invalid. Murphy, director of the Women’s and Children’s Advocacy Project and professor of sexual violence law, New England Law, Boston, stressed that it is important to resolve these issues in court and only turn to Congress to rescind the deadline if they lose in the Supreme Court. “Among the benefits from ERA passage are equal pay for women, which will move large numbers of people out of poverty and into the middle class and stimulate our economy,” Klassen said. Photo at top is of female candidates rallying for the ERA: Linda Sperling; Board of Supervisors, Springfield District; Rachna Sizemore Heizer; School Board at Large; and Laura Jane Cohen, School Board, Springfield District. / Photo by Mike Beaty.